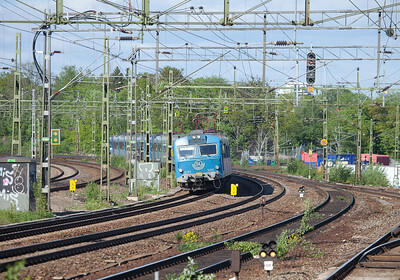 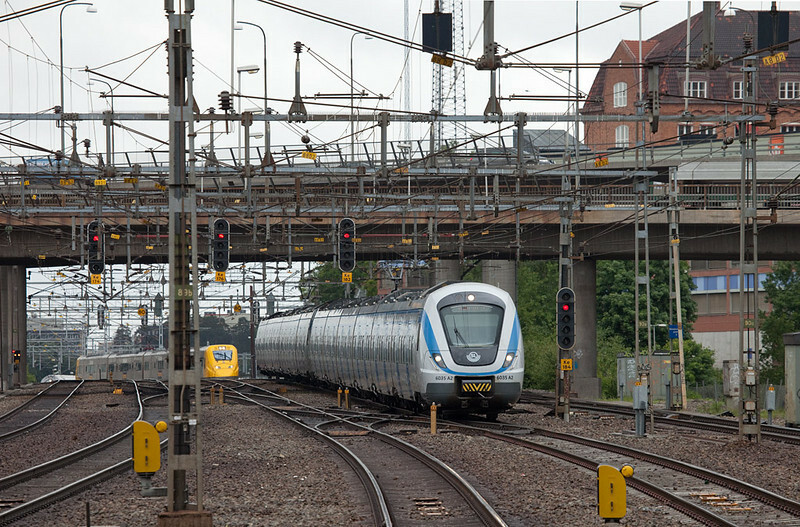 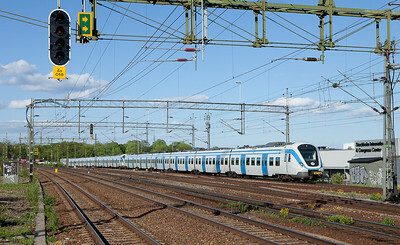 Pendeltag formed out of 2 X60s being passed by an inbound Arlanda Express in Karlberg. 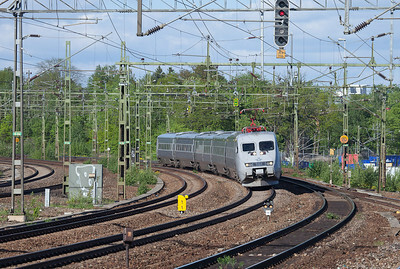 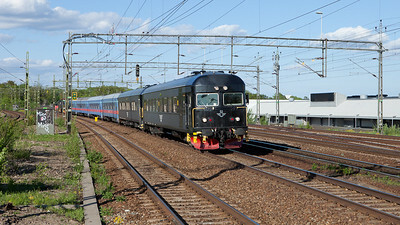 RC6 1355 leads a passenger train bound for Stockholm in Karlberg. 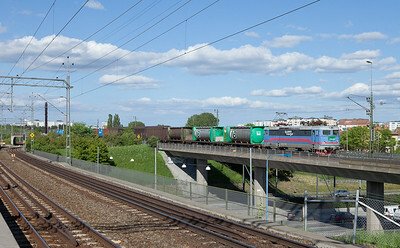 A number of trains are operated with Rc6 sandwiches (note second engine on rear of train). 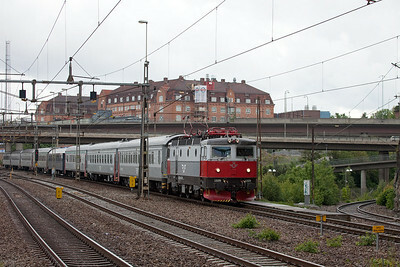 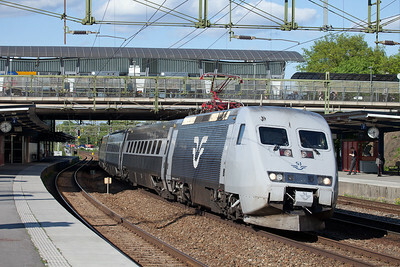 Rc6 1329 with passenger train headed for Stockholm in Karlberg. 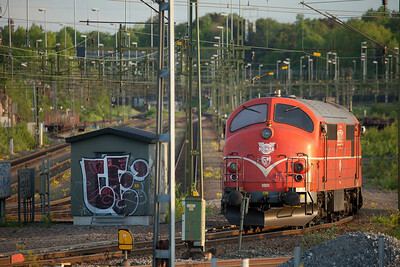 TGOJ T43 251 in the Vestberga intermodal terminal. 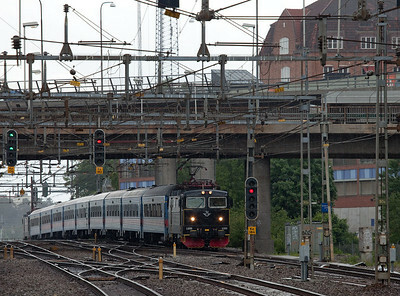 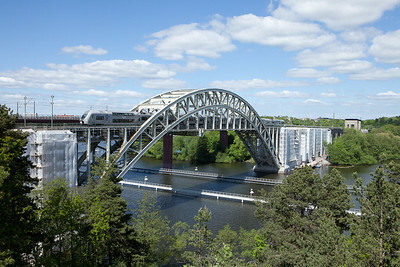 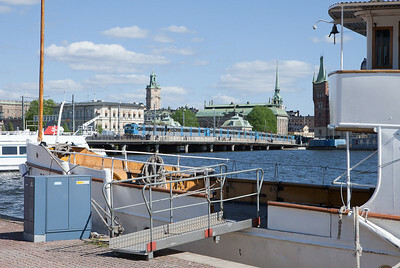 X12 crossing the Centralbron near downtown Stockholm. 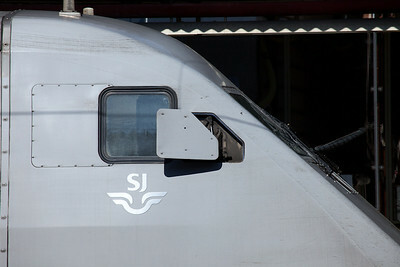 Rear view mirror on an X2000. 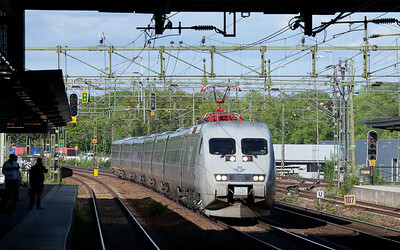 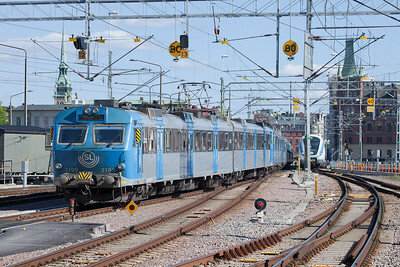 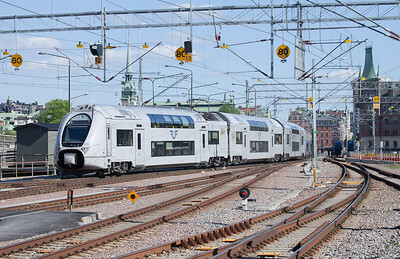 X12 leaving Stockholm Central station southbound. X40 leaving Stockholm Central station. 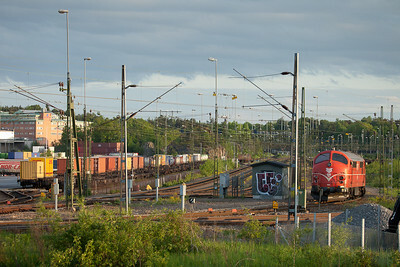 Rc6 with a container train on the yard lead into Vastberga in Arstaberg. 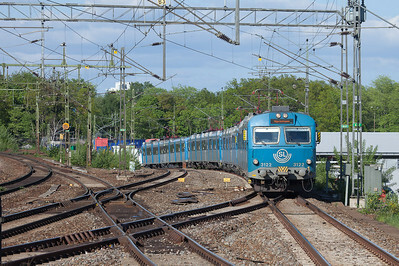 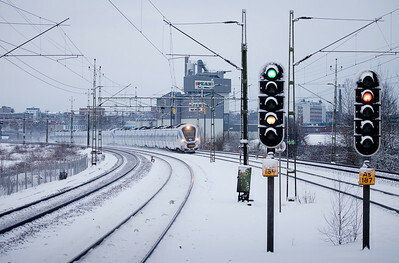 Push-pull train with cab control car leading in Älvsjö. 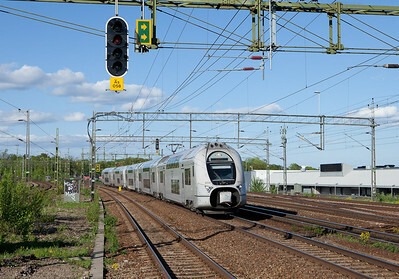 Tagkraft MX 1031 in Vastberga. 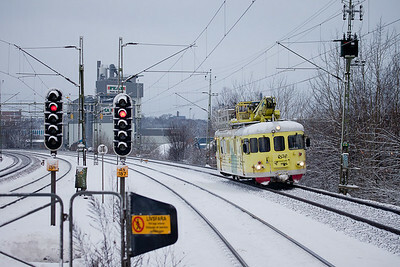 X60 crossing the Arstabron southbound with a tug underneath. 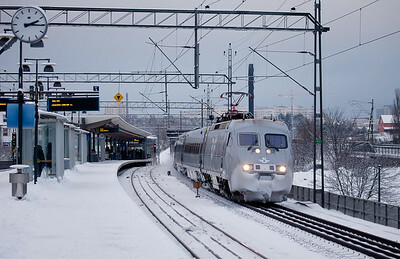 X60 Pendeltåg arriving in Arstaberg.